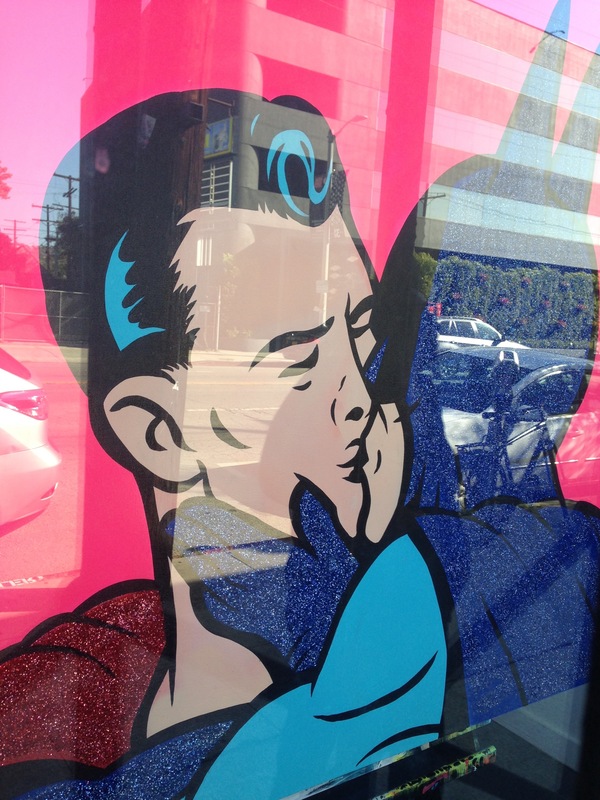 Art in Los Angeles: The Super Hero Kiss, a painting of batman kissing superman in a gallery on 3rd Street, in West Hollywood! A big MUAW! To everyone!